The one in front of the Seewasserwerk [waterworks] in Lengg. 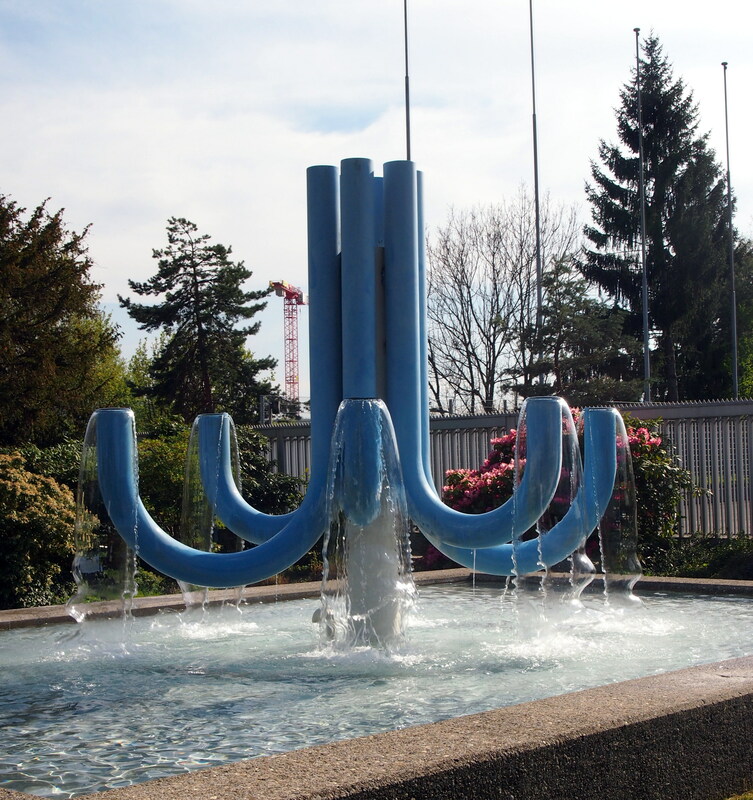 Described as jewel by the Water Supply Department of the city of Zurich, it symbolises its logo. It sits in front of one of the 2 facilities that treat and dispense water for public, almost in the border between Zurich and the next Gemeide [borough]. Children from the neighbourhod are welcome to play in the fountain during Summer, but dogs are firmly banned.